PagBrasil attends the most important global events for our industry. Come and meet us! PagBrasil has exhibited at Fórum E-Commerce Brasil 2018, the biggest e-commerce event in LATAM, in São Paulo, Brazil. 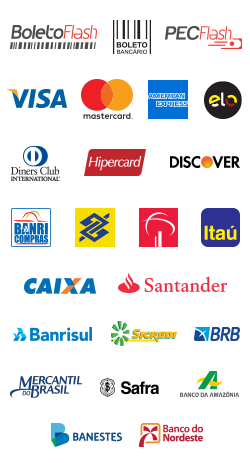 PagBrasil has exhibited at Digitalize-ME, the event focused on helping merchants succeed in the digital world, in Porto Alegre, Brazil. PagBrasil has attended Money 20/20 Europe, the European edition of the world’s largest FinTech event, in Amsterdam, The Netherlands. PagBrasil has exhibited at the 6th edition of the Feira Brasileira do Varejo, in Porto Alegre, Brazil. PagBrasil has attended VTEX DAY, the biggest multichannel retail event in Latin America, a space to discuss omnichannel, trends, innovations and challenges for the sector, in São Paulo, Brazil. PagBrasil has exhibited at Shoptalk, the world’s largest conference for retail and e-commerce innovation, in Las Vegas, USA. PagBrasil has attended Money 20/20 Asia, the Asian edition of the world’s largest FinTech event, in Singapore, Singapore. PagBrasil has exhibited on Shoptalk Europe, the event focusing on innovation in retail and ecommerce, in Copenhagen, Denmark. PagBrasil has attended Europe Money 20/20, the European edition of the world’s largest FinTech event, in Copenhagen, Denmark.